Multiplex Capital Limited is a part of the Multiplex Group that operates to serve the traders trading across the NSE (National Stock Exchange), the BSE (Bombay Stock Exchange) and the OTCE (Over The Counter Exchange) of India for almost twenty five years. In this article, we will sketch down a detailed review of the firm in terms of their products, services, brokerage charges, other relevant charges and the efficiency of their trading platforms. Multiplex Capital was founded by Mr. Suman Aggarwal in the year 1994. The firm has been operating as a Full Service Broker company ever since with its headquarters being situated in New Delhi. It legitimately owns the membership to the National Stock Exchange (NSE), the Bombay Stock Exchange (BSE) as well as the Over The Counter Exchange (OTCE) of India, thus providing extended support to traders trading across these platforms. The above mentioned table clearly describes the charges as imposed by Multiplex Capital in terms of brokerage charges up on its registered traders. As you can see above, it charges a 0.21 % on the Equity Delivery Trading. 0.02 % Equity Intraday Trading, Commodity Options Trading, Equity Futures Trading as well as Currency Futures Trading respectively. It also charges a sum of Rs.21 per lot in terms of Equity Options Trading and Currency Options Trading, apart from a charge of Rs.239 per annum concerning Annual Maintenance Charges related to the maintenance of Demat Account. Furthermore, the registered traders who are keen on continually trade under Multiplex Capital are required to maintain a minimum balance of Rs.1,000 in terms of Margin Money so as to enjoy their hassle free and unhindered trading experience. Nevertheless, Multiplex Capital does not charge any money in terms of maintaining any of the registered traders’ Trading Accounts. As can be clearly stated after looking at the table mentioned above, Multiplex Capital inflicts a charge of 0.00313% up on total transaction as Transaction Charges, 0.0126 % up on the total turnover of the respective traders as STT. Along with this 0.0002 % of the total turnover of the respective traders as SEBI Turnover Charges and 18 % on the overall sum of the brokerage as well as transaction charges as GST. Furthermore, they also impose a certain amount in terms of Stamp Duty which is variable according to the different states of the nation and does not really impact the overall investment capital or gains for the respective trades. Multiplex Capital being a Full Service Broker firm has many branches across the Indian subcontinent and permits anyone to register themselves as a trader with Multiplex. In fact, anyone interested in trading under the banner of Multiplex Capital can easily register themselves by paying a minimal amount of Rs. 239 to the firm through CDSL or NSDL. Nonetheless, in order to continue with their trading under the firm, the registered members are required to pay a sum of Rs. 239 annually as the Annual Maintenance Charge for Demat Account and maintain a minimum balance of Rs. 1,000 in terms of Margin Money. Nevertheless, the firm does not seek any charges in terms of maintaining the Trading Accounts annually. As you can clearly assume from the above mentioned chart that Multiplex Capital has many extensive offers in terms of Free Trading Account, Discount On The Overall Brokerage Charges, Flexible Brokerage Plans as well as Holiday Offers. However, they do not have any offers related to Free Demat Account, Trading Happy Hours, One Month worth of Free Brokerage, Referral Offers or Zero Brokerage for Loss Making Trades. 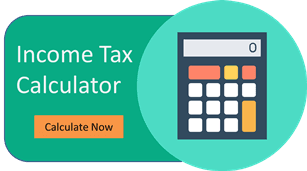 How to Open a Demat Account with Multiplex Capital? Carefully read the form that opens up. Fill up the form with proper details. Upload the documents needed to finalize the KYC procedure. You will require Aadhar Card, PAN Card, Age Proof, Identity Proof, Address Proof and one photograph for this step. Once you finish uploading all the relevant documents on to the website, a concerned person from on behalf of the Multiplex Capital will contact you for further verification. After they conclude the verification procedure, they will authorize you to operate your Demat account within a few hours. 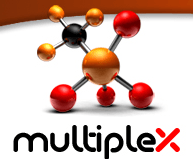 Why Open Multiplex Capital Trading Account? They have been in the Indian Trading Industry for almost twenty five years, which means their staff has a lot of experience in dealing with day to day nuances. This could come handful in the long term. Although, they require their respective traders to maintain an amount of Rs. 1,000 as Margin Money, the amount is negligible to the requirements of some of their competitors. The aforementioned chart states rather clearly that Multiplex Capital deals specifically in Equity Trading, Commodity Trading, Currency Trading, Options Trading, Futures Trading, Mutual Funds as well as Systematic Investment Plans. Nevertheless, they do not cater any products or services related to Forex Trading, Banking or Insurances. You must be able to clearly state that Multiplex Capital extends humongous support in accordance to various services, which includes Demat Services, Trading Services, Intraday Trading Services. They also provide IPO Services, Stock Recommendations and Trading Institution with up to six times the trading exposure among others. The aforementioned table apparently states that Multiplex Capital provides Research Reports, Free Stock Tips, IPO Reports, Daily Market Review, Monthly Reports, Weekly Reports, Offline advisory as well as Relationship Manager for its registered traders. Multiplex Capital does not like to compromise whenever it comes to extending the support to its registered traders. And this can quite well be established by taking a glance at the above mentioned chart that states, Multiplex Capital provides up to three times the exposure on Equity Delivery Trading, Equity Futures Trading and Commodities Trading. Upto six times the exposure on Equity Intraday Trading, five times the exposure on Equity Options Trading, twice the exposure on Currency Futures Trading and four times the exposure on Currency Options Trading. Sustaining in the market for over two decades is not at all an easy task, especially considering the fact that there are companies that are regressively competing for the same market. Nonetheless, Multiplex has managed to crack this tough nut and one of the major reasons for their success goes to their choice of trading platforms. Multiplex capital does not own any dedicated trading software that could be brought to use by its registered traders for the sake of trading through their personal computers. Nonetheless, to cope up with this, Multiplex uses the NSE based terminal trading software, popularly known as NEST. NEST can find its roots to a Dot Net Framework. The software has been enabled to be compatible with Windows 7, Windows 8 and Windows 10 respectively. Furthermore, it is one of the most reputed trading software that is known for its stability, specifically for the Indian stock broking space. Easily run real time data and export it to Excel for further analysis. Add multiple watch lists with the option to add multiple trading items to the same list. Add various market watch lists to various groups, thereby segregating the whole procedure for monitoring. Commence a number of different technical as well as fundamental investigations through the integrated charting functionality. Sneak up on the details of the placed orders in terms of both buying and selling, through the ‘Orderbook’ feature. Summon the ‘Net Positions’ window so as to take a complete screenshot of the respective user’s market position across various indices and exchanges. Overview the top ten bids and know the details of the asked quantity as well as the price of the stocks with the help of the ‘Combined Market Feature’. Live streaming options with the ability to watch the ongoing price across a number of scrips. Real time update for Intraday charts. Real time profit & loss report including live margin and position. Negligible implication of brokerage charge. The ability to set different number of price alerts across a number of scrips. Ability to customize multiple of portfolios & watch lists. Ability to square off all transactions with one click. Real time updates on top gainers, losers and most active bidders. Real time information across several indices. Updates on the top five bids at real time. Real time notification for trade confirmation. Remote access to account as well as DP. Real time updates on order and trade book. Access to view the details of all the pending, executed as well as rejected orders. Strong safety protocol through 128- bit encryption. Ability to place after market orders. Ability to transfer funds online from leading banks. Access to multiple historical charts and technical analysis tools. The broking house has not come up with a Mobile App yet for their clients. Multiplex Capital has spread out its network across two hundred and eighty three different locations throughout the nation with active support for offline and online trading, email support and dedicated dealer. Nonetheless, they do not offer any help regarding 24 8 7 support, chat support or toll free number. As per the aforementioned chart, you can clearly conclude that Multiplex capital has been able to function flawlessly in the BSE last year without the hint of the slightest dissatisfaction within their clients. However, four complaints were registered against them within the NSE. Nonetheless, all of those complaints were resolved with immediacy within the exact financial year. It is also noticeable that only 0.04 % of their clients registered the complaints, which is, indeed a great figure. They still do not provide 24 * 7 support to their traders. Their desktop browser based trading platform can be updated to compete better with other counterparts. Multiplex Capital has been actively helping traders across India regarding equity and derivative trading for almost twenty five years. They do have a huge experience of the industry and can be a great firm for any trader, established or newbie.